If spring lawn care is about establishing a healthy landscape, then summer lawn care is about maintaining one. Long days of high temperatures and little rainfall can take a toll on your yard. 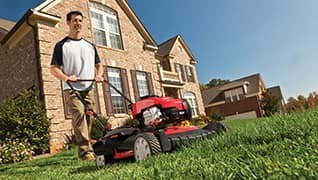 To avoid undoing the hard work you did in the spring and keep your landscape looking its best, make sure you're maintaining your lawn mower parts and following proper summer lawn maintenance techniques. Our summer lawn care tips feature advice on watering your grass, boosting your curb appeal, starting a vegetable garden and more. Create a landscape you'll be proud of with our lawn care tips for summer. 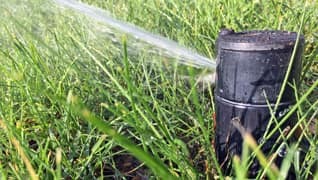 Maintain a lush summer lawn with our tips on watering grass. 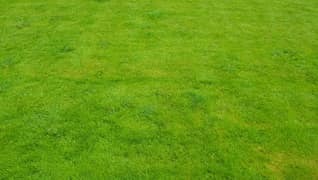 Knowing when to water your lawn and how to treat brown spots on your lawn can help you keep it green all summer. Kick off your summer yard care with advice from our resource center. Follow these routine tips for maintaining your walk-behind lawn mower and riding lawn mower in-season. Ensure your equipment performs at peak levels and prolong its life with proper maintenance and care. 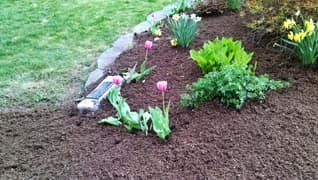 Find out about different types of mulch and how they can benefit your lawn with these descriptions from MTD Parts. From wood chips to compost, there are many different types of garden mulch available. We'll help you know what to use and when. Create a drought-tolerant lawn with these tips from MTD Parts. 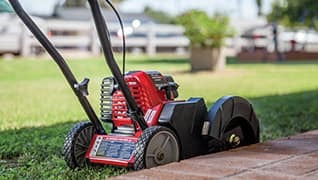 Mowing in a dry season requires attention to lawn mower blade height and sharpness, frequency of mowing and watering, and understanding dormancy and stressors for your grass. View tips for using a string trimmer and edger to create distinct borders around landscape beds and enhance the appearance of your home and lawn from MTD Genuine Parts.